Headaches are quite common and everyone has to deal with headache at some point in life. The thing is that a headache itself is not a disease, but it may indicate an underlying condition. It is therefore important not to overlook a persistent headache, especially if you're experiencing a headache for a month or so. 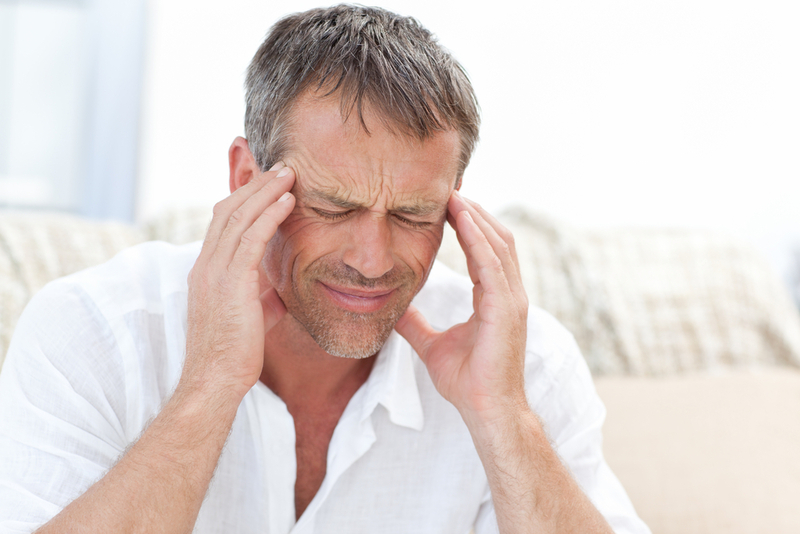 The chronic daily headaches are among the most troubling issues to resolve. You need to discover the underlying cause of why you’re experiencing a headache for 2 monthsor even more. Keep reading to learn more. Headache for a Month, Why? If you've been experiencing headache for over a month now, it could be due to one of the following reasons. If you have a history of episodic migraines, you're more likely to develop chronic migraine. You will experience certain symptoms, such as pain on one or both sides of your head, nausea, sensitivity to sound and light and throbbing sensation. You will experience severe pain in most cases that aggravates with physical activity. If you're feeling tightening or pressing pain (not pulsating) on both sides of your head, you may be suffering from a chronic tension-type headache. What separates this type of headache from migraine is that it won't aggravate with physical activity. You may also notice skull tenderness due to this type of headache. These headaches usually affect only one side of your head and are omnipresent – they never seem to take a break and you may experience headache for a month. You usually experience moderate pain that sometimes becomes a bit severe and responds to the prescription pain reliever indomethacin. You may also notice other symptoms such as nasal congestion, tearing of the eye, sensation of restlessness and drooping eyelid. You may experience headache for a month, weeks or days if you're already dealing with an episodic headache disorder and take too much pain relieving medications. Taking these medications for over a couple of days or a week will increase the risk of developing rebound headaches. These headaches will affect you daily and are usually caused by specific conditions such as inflammation of the blood vessels in your brain, extremely high or low intracranial pressure, meningitis or other infections, traumatic brain injuries or brain tumor. Your continuous headache may also be due to several other reasons. Sometimes, except headache, you may notice other symptoms. Some of the most common causes include increased muscle tension; changes in brain hormones such as endorphins and serotonin; and headaches caused by dental pain, atypical facial pain, sinusitis or post-herpetic neuralgia. Other causes include drug addiction, alcohol abuse, anxiety, occipital neuralgia, female hormone disturbances, and HIV/AIDS. If you've been dealing with a headache for a monthor so, you should take some initiatives to manage it better. You need to know about the type of your headache and find triggers as well. The most common triggers are a poor diet, lack of sleep, stress and your environment. You may even consider maintaining a headache diary to learn more about the characteristics of your headaches. This will help you manage things better and even give your doctor enough information to select a right treatment option. You should learn to relax if your headaches are directly related to stress. Simply lie down on the ground and relax your mind. Now, stretch your muscles first and then relax them. Avoid doing activities that may aggravate your headaches and try relaxation methods such as mental imagery relaxation, deep breathing exercises, progressive muscle relaxation, and counseling to recognize and deal with stress. Biofeedback is a good way to learn more about your muscle tension and help you improve your stress-reduction skills. It keeps track of your heart rate, muscle tension and other vital signs to determine how your body reacts to different treatment options and stress-busting techniques. You may sometimes need to take medications to deal with your headache for a month. Your doctor may give you medications for abortive therapy, symptomatic relief or preventive therapy. You will be given simple analgesics such as acetaminophen or ibuprofen or other sedatives to alleviate pain. They will also suggest lifestyle and dietary changes as well as relaxation techniques to help you feel better. Exercise regularly: You should stay active and exercise even if you're experiencing a headache. Many studies have confirmed that doing aerobic exercise for half an hour for thrice a week will lower the intensity of your headaches. Maintain a healthy diet: What you eat will have an impact on your headaches – this is especially true for migraine sufferers. You should avoid food triggers such as wine, cheeses, cashews, dark beers, processed meats, wheat, food additives and dairy. Avoid excess caffeine; and if you've been drinking over 6 cups of coffee daily and are trying to quit caffeine, the withdrawal may trigger migraines. Get enough quality sleep: One of the reasons why you're having a headache for a monthis that you aren't getting enough sleep. Improving sleep quality will have a good impact on tension headaches and may also help reduce the duration of migraines.